When it comes to the legends of blackjack, Ken Uston stands heads and shoulders above the rest. 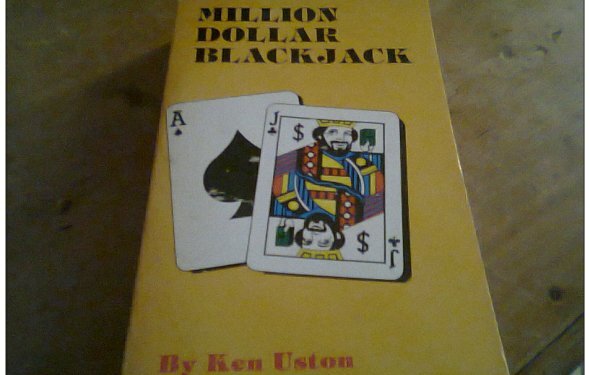 While there were many who preceded Uston in the development of card counting, Ken Uston was the first blackjack player to consistently apply his knowledge and techniques to make millions at the blackjack tables. His understanding of card counting and his incredible insights into the game of blackjack continue to influence players of all skill levels today. Uston’s real name was Kenneth Senzo Usui. He was of mixed heritage. Uston’s mother was Austrian and his father was a Japanese businessman. Uston was the oldest of the couple’s three children, and highly intelligent. Uston’s father set a high intellectual standard for his children, pushing them to learn and develop at a rate faster than other children their age. As a result, Uston was accepted to Yale at the tender age of 16. This was a major accomplishment, but Uston took it a step farther by becoming a member of the Phi Betta Kappa fraternity and honor society. After his time at Yale, Uston obtained his MBA from Harvard. Not many people, blackjack players or otherwise, can claim to be an alumnus of two Ivy League schools. This kind of intelligence and academic superiority is found among many blackjack experts. Most of them display an amazing aptitude for mathematics. Uston was no exception. His college experience landed him jobs in the telephone industry and as a highly-paid consultant for various firms. Ultimately, Uston became a Senior Vice President of the Pacific Stock Exchange. While Uston was making a name for himself in the stock market he began to read Edward O. Thorp’s Beat The Dealer. Reading on the weekends, Uston became convinced that it was possible to make large amounts of money playing blackjack. His affinity for numbers provided the foundation that would turn him into an excellent card counter, and it wasn’t long before Uston was making regular weekend trips to Las Vegas. Apparently, his intellegence in answering questions does not include common sense. I thought the comments were quite humorous. They just shouldnt have come from a guy who won 2 Mil from the object of his critisism.